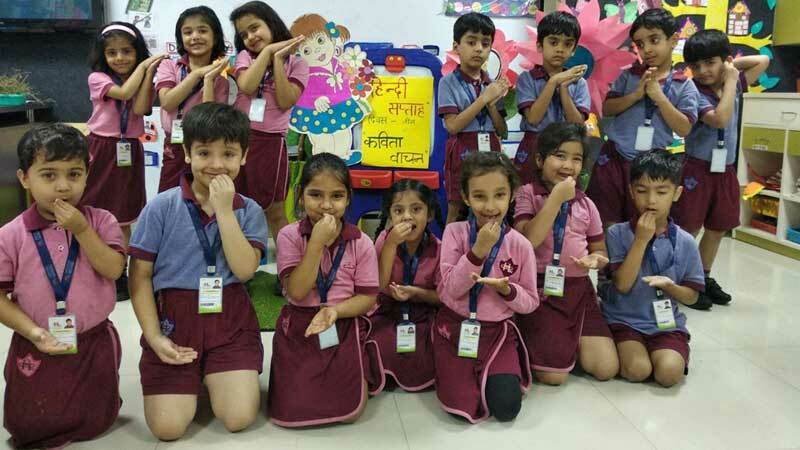 To celebrate ‘Hindi Diwas’ and to make the students aware of its importance, the school hosted variety of activities in Hindi from September 10 – 14, 2018. A special assembly was conducted on September 14, 2018. Dr. Tek Chand (MA, M.Phil, P.Hd, Delhi University) was the guest of honor for the special assembly. He is the author of many books including ‘Daudh’, ‘Mor ka Pankh’. He is also the winner of Dr. Ambedkar Vishish Seva Samman, Haryana Dalit Sahitya Academy, 2006. They also presented Nukkad Natak, Poem Recitation as their Inter CLAN competition and with full enthusiasm, all the CLAN members performed their best. Students were judged by Dr. Tekchand and Principal ma’am, Ms. Pooja Puri for the Nukkad Natak . The Guest of honor shared words of wisdom and motivated the students to use the language. 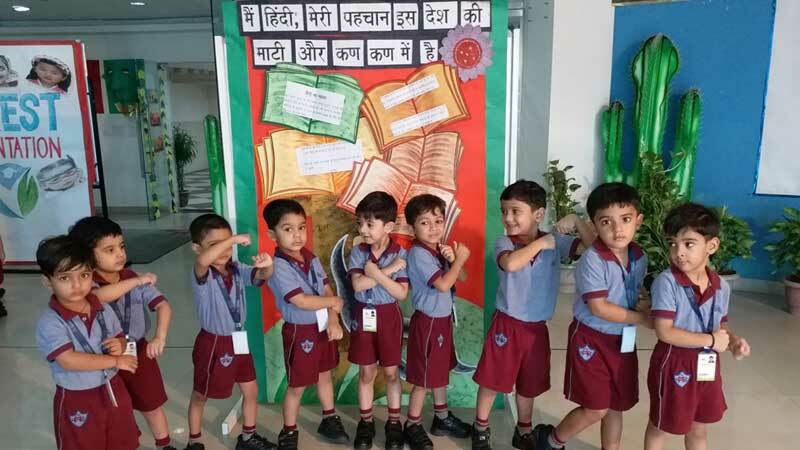 Students thoroughly enjoyed the activities conducted during the Hindi week.